SHENZHEN, CHINA – Huawei Technologies Co. says the ongoing effort by the United States to convince other countries to ban it from participating in the deployment of 5G is not based on facts, but that the company will not “waste” resources trying to change the government’s mind. Speaking to four Canadian reporters during a roundtable at the Chinese technology giant’s headquarters in Shenzhen, China on Tuesday, Eric Xu, one of the company’s three rotating chairman, fired back at the United States government, saying its decision to ban the company is not evidence-based and that U.S. officials may not fully understand the threat of cyber security. “What’s going on is not based on facts and evidence at all. It is attacking Huawei from a political perspective,” Xu said through a translator during the wide-ranging roundtable discussion, which lasted more than 90 minutes. The rotating chairman’s statement comes as the U.S. government continues its campaign to convince countries around the world to join them and ban the use of the Chinese telecommunication company’s technology in the deployment of 5G wireless networks. Last month, U.S. Secretary of State Mike Pompeo warned that the U.S. would not be able to share information with countries using Huawei technology, citing to cyber security risks. So far, the sustained pressure from the U.S. has been met with resistance around the world. According to a Reuters report citing four people familiar with the matter, the European Commission will ignore U.S. calls to ban Huawei when it introduces a recommendation related to 5G networks this week. “We think concerns around cyber security, real concerns about cyber security, are legitimate… Singling out Huawei in this case will not address cyber security concerns,” Xu said. Huawei has also been at the heart of strained relationships between Canada and China since the company’s chief financial officer Meng Wanzhou was arrested in December on behalf of U.S. authorities for allegedly violating U.S. sanctions against Iran. With Canada and China relations deteriorated, and Huawei’s reputation in North America suffering, the telecommunications company has tried to improve its image by inviting journalists to its headquarters in China to interview key executives who have been notoriously reclusive in the past. Tuesday’s interview touched upon a range of topics, including Meng Wanzhou’s arrest, the Chinese government’s potential interference in company operations, and Huawei’s various partnerships with telecommunications companies and universities in Canada. 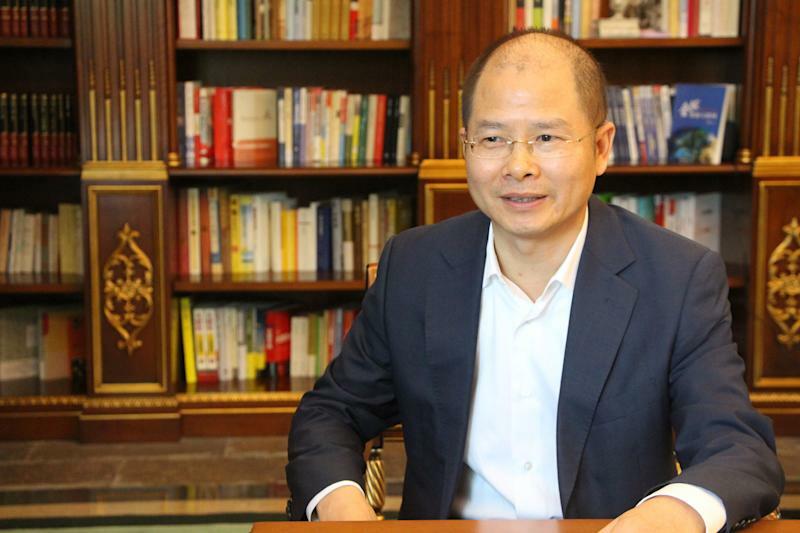 Xu said that, like the company’s founder Ren Zhenfei, he sees Canada, Huawei and China as “victims” in this situation. When asked about why Huawei should be trusted, given the charges against the company and ongoing warnings from the U.S., Xu reiterated that decisions related to cyber security should be based on facts. “Trust is something that develops and evolves, as society and as the world develops. But trust must be based on evidence and facts,” Xu said.